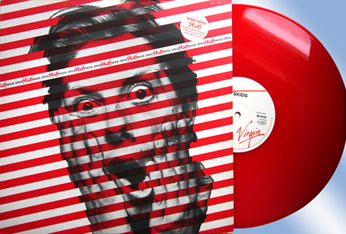 In 1978, The Skids, a punky quartet from Scotland fronted by the eccentric and talented Richard Jobson and featuring Stuart Adamson on guitar (who would later lead his own band, Big Country, into the charts with a trademark e-bow, bagpipe-sounding guitar) released their debut 4-song ep on red vinyl. Wide Open has always been a prized piece of vinyl — and not just for its color. However, after tonight's pre-game performance by U2 and Green Day, I suspect it will be even more highly coveted because of one of the brilliant songs on it that those bands chose to cover. Proving yet again why they are The Best Band in the World, U2 along with Green Day, ripped through an incredible version of The Skids' “The Saints are Coming” and provided the perfect musical and sonic fanfare for the New Orleans Saints first home game of the season in the Superdome. Given the opportunity to perform at such an occasion I can easily imagine other bands attempting to wade through a traditional blues or cajun number. Instead, U2 opted for a rousing thematically appropriate tune that harkened all the way back to their roots and celtic peers. Honestly, I couldn't believe my ears. I recognized the song, but I couldn't believe they were playing it. And then, I couldn't believe just how good it sounded. Not—as you'll soon find out—that it ever sounded bad. But let's face it, in U2's hands, gestures take on new meaning, songs take on new sounds, and words take on greater significance. Apparently the U2/Green Day collaboration is due to be released as a single soon. In the meantime, here's the original in all it's punky, new wave glory. 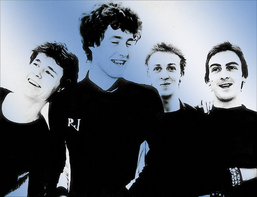 The Happy Medium Song of the Day is “The Saints are Coming” by The Skids. I doubt you'll ever find it on that first ep, but you can still find it on the album Scared to Dance.